We bought our second Mazak 5 axes. Our E1060 V8 results were over our expectation. 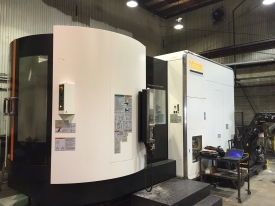 We decided to add another one very similar a Mazak I630. It's unbelivable! We are always looking to be more efficent.